Overnight parking permission may be granted by the police department any day of the week between 2am and 5am. Permission will not be allowed in prohibited zones, rush hour lanes, snow ban, or any other restrictions by posted signs. 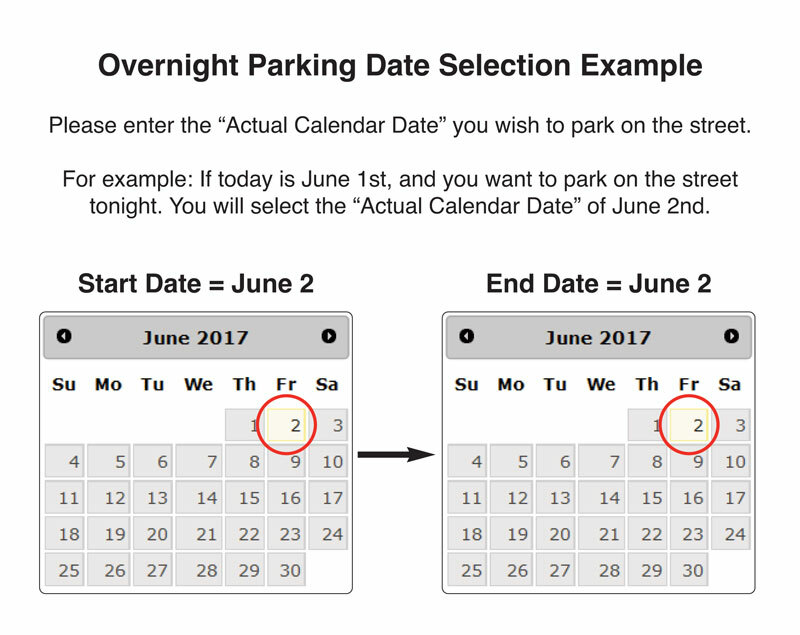 Overnight parking ordinance is still enforced in Residential Permit Parking zones. There is a maximum of 6 requests per month. Driveway repairs longer than 6 days will require a separate request for continued permission. Requests must be submitted before 2am to receive permission. Three or more unpaid parking citations will result in said vehicle license number being placed on a "tow list". If the vehicle is found on the city streets it will be towed and impounded until the citations have been paid. Requestors proven to have misused the parking permission ordinance will be denied further parking permissions for a period of 6 months.